What draws me here? What gift(s) do I bring here to NCN, and what do I come away with? What is the Gold that I reap from NCN Now? 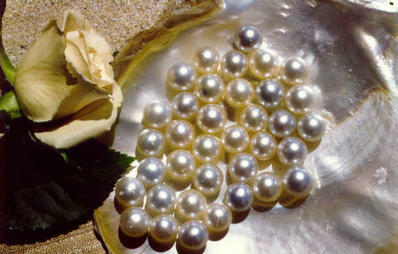 What are the pearls for me? What zips my doo-dah? I love to ask empowering questions. I love to assist people in seeing what has value and to help people to notice, and acknowledge the value and magic ever present around us. It jazzes me to create sacred space and have people meet me there in that sacred space and time. I love to celebrate the golden experiences in life and enjoy acknowledging and building upon what feeds and nourishes us. Because these things are important to me, I have created a space to collect some gems, and to share some pearls. I invite you to contribute to this space some manna to acknowledge the Treasure that NCN is for you right now. I invite you to celebrate with me what has value to you. Here are but a few questions to catalyze you to share what has value in this treasure, which encompasses both the hidden treasures and those more apparent and visible to the naked eye and the open heart. I invite your authentic self to be here! I invite Essence to shine! and your human-ness to bless us! What do I most love about being here in NCN? What opportunities does NCN provide for me right now? What really flips my delight switch here? and how is it fueling my passion right now? Or how does this space feed me? How does each member add to the treasure of my life? and it gives me much appreciation for NCN. What do I appreciate most about each member? What is the most enjoyable facet or experience here for me? How do members facilitate a sense of belonging for me? What is the most humorous or entertaining facet(s) here for me? and what would I like to experience more of? I will add my comments after others have posted. I want to keep the room open and free until others have the chance to input. I have saved my input into a word document and will paste in it soon. I love all the richness of diversity here. I love the art, and I love the rooms and the many features designed by Flemming and the group here. I respect each member, and have learned how better to listen and communicate more with a variety of people. I fear community less at times by being in here. I Love the new friends I am making here and have much gratitude and appreciation for them. I have had professional opportunities here that have helped me create more income, and have been able to receive direct resources through connecting with people and through newslog information. I love the prose and the links, and the websites, and the resource directories, and (the connectivity overall). I love that I can come into NCN anytime of the day or night and read articles, link with resources, or people, create a piece of art, or write an article in a room or in my newslog. I love the logs, and the comment areas as they allow me to connect, express, become involved and be heard, responded to, and to care and be cared about. I love the synchronicities between logs, people, in rooms and how the telepathic connections and energy links are growing commu-nity around the world. I love that each of you are in your own ways, invested in learning to communicate in ways more effectively through the small online community in NCN. I have been able to find and develop friendships with those I may have never met who live across the world, because of NCN. I appreciate the creative opportunities and the resources that are multi-leveled and multi-diverse. I am excited to see how NCN will continue to grow and expand, and how it will open to link resources and people around the world. I love that I can share my beauty with you all, and that I can create my own unique room here to meet with you in. I love the darkness and light here and how all has helped us to alchemize our selves and one another. I love and appreciate every one of you and what you bring to NCN in your Presence, in your news logs and groups. I appreciate your gifts and I thank you for being in my life. I thank Flemming for all that he has done to make NCN be what it is today! I thank the God and Goddess for NCN and YOU! Thanks so much for visiting my news log and sharing your beautiful presence through your valued comments! 10 Apr 2004 @ 03:52: The Meaning of Easter and an Easter Evolutionary Update!